Howdy y’all! 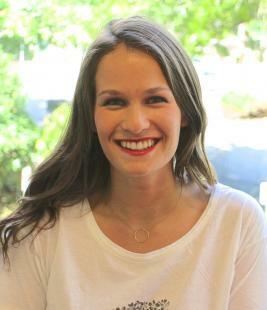 I’m Jessica Frankel, the newest addition to the Business Development and Sales team at OpenSesame. I’m a recent graduate from the University of Oregon, where I majored in Political Science and Business Administration. Although my greeting suggests I hail from Texas, I was actually born and raised in Portland. Having been infatuated with all things tech and social for the past few years, I knew I wanted my first job out of college to be with a startup that is making waves in the digital realm. Lucky for me, OpenSesame was hiring! After four weeks on the job, I can already tell I am going to gain invaluable experience working here. I couldn’t be happier I chose to stay in Portland post-college and contribute to the ever-expanding startup community. It’s an added plus the people here are not only great to work with, but so creative. Prior to accepting the position at OpenSesame, most of my work experience was geared towards marketing and communications. I’ve previously interned for an event planning agency, as well as did social media and PR for a boutique firm in Portland. Additionally, I also served as Brand Ambassador for Microsoft Skydrive my senior year of college. I might have cherry-picked from a variety of experiences, but I am grateful throughout my education and internships, I’ve had professors, bosses, and mentors that placed an emphasis on effective communication, both online and off. In a sales and development role, I’m finding there is not a skill more useful. When I’m not working, I spend most of my time decorating (obsessively organizing) my apartment, reading good books, Netflix-binging, and scoping out new restaurants to try. Rain or shine (the rain is inevitable), I’m very excited to explore a different side of Portland and looking forward to working hard and getting to know the OpenSesame community!